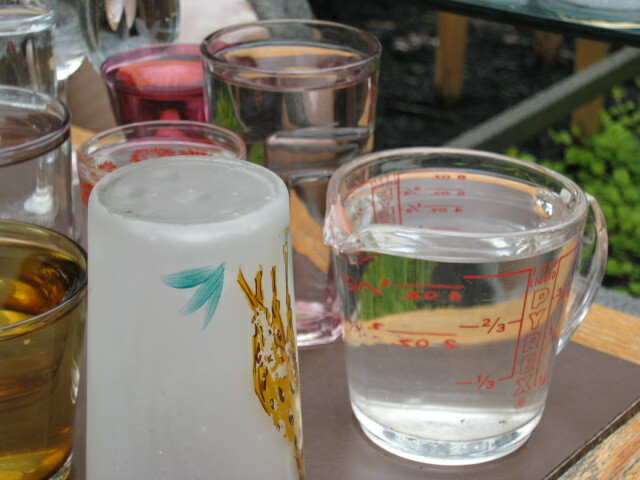 A summer rain blew through yesterday and filled some glasses up. It looks like there are some glasses of water for sale. Here are some photos showing the artful display I caught om my point and shoot Canon digital camera. The photos are as is in natural lighting. Her display table was photographed as found. The best way to show what is found is as is.